Using IRA Trusts in Your Florida Estate Plans | DeLoach, Hofstra & Cavonis, P.A. In creating your estate plan, one key opportunity to build family wealth is to properly plan for your Individual Retirement Account (IRA) distribution upon your death. Your IRAs grow free of any income taxes, which allows for tremendous growth for you and your family over the years. Good planning with your IRA can essentially create a “private pension” for your family, giving your children and grandchildren years to enjoy these assets. Upon your death, your IRA is generally paid directly to the named beneficiaries thereon. 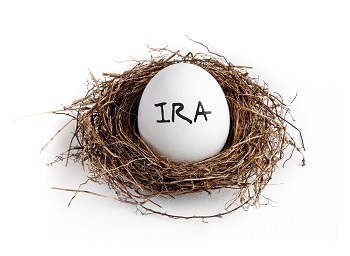 The beneficiaries can roll over the IRA into their own inherited IRA, which allows them to take this money out over their lifetime. This IRA “stretchout” is a wonderful thing because of the continued ability of the IRA funds to grow tax free. Your hundreds of thousands of dollars can grow to millions of dollars under these circumstances. One problem with distributing the IRA outright to a child is that most beneficiaries do not actually use the IRA “stretchout.” Many children “blowout” the IRA, taking all the money out of the IRA upon your death, not allowing it to continue to grow tax free. It is estimated that 87% of all beneficiaries take money from their inherited IRA too quickly, completely blowing the growth opportunities. The correct estate planning, however, can generally prevent this from happening. IRA Inheritance Trusts have not been around for a long time, so this is a new concept you may not have heard about. If you want to help your children and grandchildren with the wonders of tax-free investment growth, please see us on creating an IRA Inheritance Trust. Why should I leave money to an IRA Trust? When done properly, a beneficiary can stretch out their IRA and other qualified plans to grow tax free over their lifetime. Leaving the IRA to a properly drafted trust can help protect your beneficiary’s inheritance from bankruptcy, creditors and even divorce. IRA trusts may be the best way to protect your heirs’ future as it can help guarantee an income stream for their lifetime, even providing for their future retirement. How much money should I have in IRAs in order to create an IRA Trust for an heir? We generally think that your IRA should have at least $150,000 to any one heir in order to make the cost of setting up and maintaining an IRA Trust worthwhile. Who would be in charge of the IRA Trust upon my death? If the beneficiary is responsible, he or she can be in charge of his or her own IRA Trust. If, however, the child is not responsible, then you may look to a responsible family member, an attorney or trust company to be in charge. Can my existing revocable trust receive my IRA? Maybe. Under most circumstances, we generally create separate, stand-alone Trusts for IRAs. There are a number of reasons for this but most revocable living trusts are not drafted to receive IRAs. Please call us with any questions. We have this information and more in my free book on estate planning - download a copy of the Top 20 Rules for Protecting Your Florida Estate today!